Every dog suffers from diarrhea at some point in his life. This can be a distressing – and messy – problem for both of you, but it doesn’t have to be! Need to know how to stop diarrhea in dogs? Here are the easiest, most natural ways to do it at home. If at any time your dog is extremely lethargic, feverish, bloated, there is a large amount of blood in the stool or vomit, or you’re concerned about him, seek veterinary care as soon as possible. But for those dogs who are presenting with simple diarrhea and vomiting, there are 4 steps you can take to help. After the fast, if there is no further vomiting and the diarrhea has stopped or slowed, offer small sips of water (a few teaspoons in very small dogs and up to ½ to 1 cup in large dogs) every few hours. Be certain to use filtered or spring water. After 6 hours of water only, you may start some broth or small amounts of food. Gradually increase the amounts of food over the next 4 to 5 days. Once your dog is reintroduced to food, a bland diet will help prevent a recurrence of diarrhea. 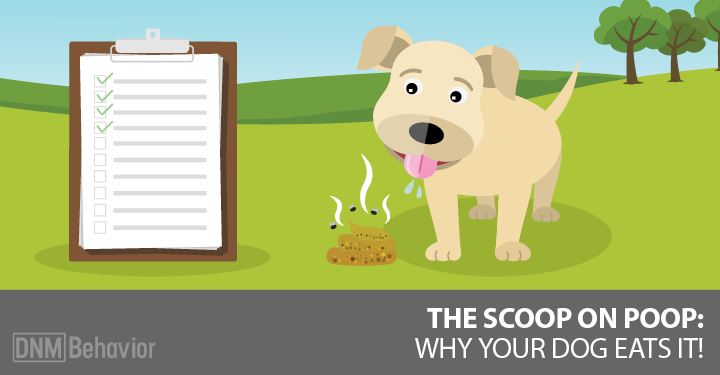 Starting with soup is a gentle way to smooth your dog’s transition back to his regular diet. You can find a soothing recipe here. Bone broth is another nutritious bland option. It provides a hearty mix of vitamins and nutrients, but it’s easy on your dog’s stomach. It’s easy to make, just follow this recipe here. These will help repopulate the intestine with healthy bacteria and there is a growing research base showing they boost the immune system in the digestive tract as well as the rest of the body. Probiotics help maintain the mucosal barrier and enhance cellular repair. Probiotics can be given while a dog is on antibiotics; just be sure to give them at a different time than the antibiotic. They can also be used during stressful times, such as weaning, boarding, agility trials and when traveling. Prebiotics are indigestible food components that travel undigested to the colon where they ferment and are converted into short chain fatty acids (SCFA). The SCFA are involved in inhibiting the growth of harmful bacteria, acting as a source of energy for colon cells and preserving electrolyte and fluid balance, thus allowing the intestine to move properly. When present in the bowels, prebiotics can promote and support a healthy digestive bacterial flora. It’s recommended that prebiotics be used in combination with probiotics to support the growth of the good bacteria from the probiotic. However, they can also potentially feed harmful intestinal bacteria. These harmful bacteria are the often the cause of digestive disease – so their use may be controversial. Besides FOS (fructo-oligosaccharide), beet pulp is another well known prebiotic. Some dogs however, don’t always process beet pulp well and can suffer from bloating, nausea and flatulence. [RELATED] What’s causing the diarrhea? One of these might be the culprit. If the slippery elm is in powdered form, give a ¼ tsp powder for every 10 lbs body weight. Mix the powder or capsules into food or some yogurt. You can also prepare a syrup from the slippery elm. Mix 1 rounded tsp slippery elm powder in 1 cup cold water, bring to boil while stirring, turn down heat, stir and simmer 2 to 3 minutes. Remove from heat, add 1 tbsp of honey and let it cool. There’s a huge range of safety and effectiveness. I’ve found this therapy to be much safer and more effective than Kaopectate and Pepto Bismol, both of which contain salicylates and are unsafe for dogs. A healing mixture for the intestinal tract can also be made by using equal parts slippery elm powder, FOS (fructo-oligosaccharide) powder and L-Glutamine powder. L-Glutamine is an amino acid that heals intestinal cells. If you wish to give your dog L-Glutamine alone, give 500 mg per 25 lbs of body weight per day. I’ve had mixed experiences with digestive enzymes. For dogs not being fed a raw diet, it makes sense to supplement the digestive enzymes they’re missing from a natural raw food source. Some animals have improved digestion and do well on digestive enzymes, while some dogs react with intolerable abdominal bloating and gas. It’s best to observe your dog and start at a reduced dose at first. Some animal digestive support products contain digestive enzymes so be sure to read the labels. Dogs with exocrine pancreatic insufficiency require additional pancreatic enzymes (which include proteolytic enzymes, lipases, and amylases) in order to digest their food properly. These are usually prescription products, however. [Related] Slippery Elm has many soothing qualities. Find out more about them here. In many cases, especially if your dog is healthy, the diarrhea will resolve itself in a few days (even a few hours) with a little help from you. However, if your dog’s digestive disease is severe or persistent, and you notice lethargy or vomiting along with it, head to your holistic vet. Endoscopy to visualize the stomach and intestinal mucosa. Most cases, however, are self-limiting and, with a little help from you, your dog can get back to form quickly.